Registration Deadline is Tuesday, July 24! Come out and golf for the future of Camp Lebanon! 2016 Camp Lebanon Golf Classic Delivers! 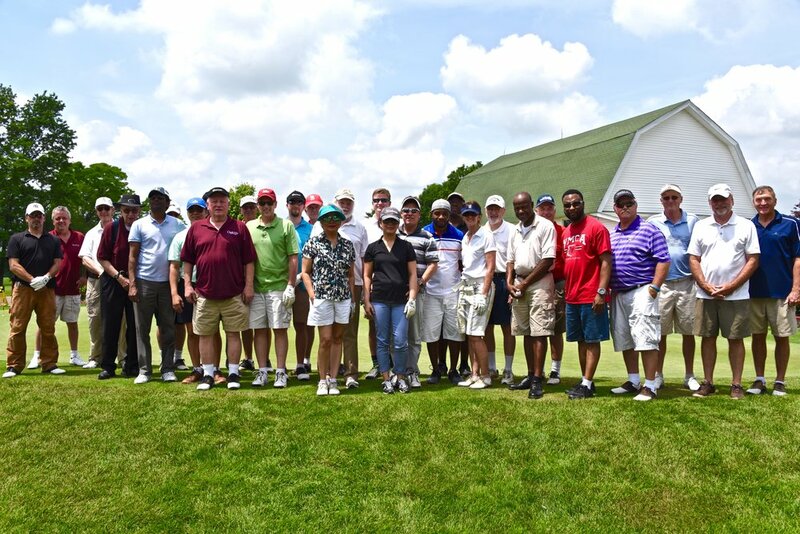 This year’s Camp Lebanon Golf Classic, held in June 4, 2016 at the Gambler Ridge Golf Club in Cream Ridge, assembled 40 registered players and 6 hole sponsors. The event raised $3,058.92 in net proceeds for our camping ministry in Camp Lebanon! Just as important, we were blessed by good weather, food and fantastic fellowship. A wonderful and serendipitous encounter took place because of this event. On the day of the event, I was welcoming players at the registration desk and a gentleman approached me and introduced himself as one of the staff at the golf course, and that he had learned that we were a Baptist organization in New Jersey. He then shared that he is a member of a Baptist church near the ABCNJ region office in Hamilton Square. After he mentioned to me which church that was, I immediately told him that I pass by that church a lot of times on my drive to the office or on my drive home, and have always wondered to which Baptist family they belong. He said that they had a new pastor, and that the pastor had expressed that they seem to be alone and that he wanted their church to be part of a larger family. Anyway, to make a long story short, his pastor finally came to the office to meet with me and Dr. Spitzer so we could get to know him and the church better, and he to know ABCNJ better. And now, they have expressed their desire to join ABCNJ! Our annual Camp Lebanon golf event for this year not only delivered funds for our camping ministry, but it also delivered ABCNJ a new congregation! We are always striving to outdo ourselves in succeeding events, and to grow the event each time. We encourage our churches to participate by sponsoring a hole. Each hole sponsor gets a professionally printed poster placed on a designated tree box for all players to see. A church or donor can also sponsor a player. There are many other opportunities for your church to support this important event. A church or an individual can donate prizes or auction items. For more details on how you may support this worthy effort, please call Dr. Elmo Familiaran at the region office. Whether you are a player, a fan of the game, a beginner, or even a dispassionate observer of the sport - we invite you to come and support the 2nd ABCNJ Annual Golf Classic. Here's why: all the proceeds of this year's golf fundraiser will go to one of ABCNJ's major ministry porgrams - Camp Lebanon! Our camping ministry serves many churches and touches the lives of countless young people year after year, bringing them closer to Christ and a life of meaning and purpose. For a broad description of our camping ministry go the Camp Lebanon's website at, www.camplebanon.com. Form your foursomes now! Encourage your neighbors and friends to join you to support a great ministry! If you have business friends who want good exposure to our ABCNJ family, encourage them to sponsor a hole and their company's name and contact information will be displayed on a tee box. Your registration must be received in the region office by October 1, 2012. Another way you can support the fundraiser is by donating prizes and auction items. Just fill out the form below and send it to the region office. Take a Swing for Missions - see you at the tee box!